Click the logo below to be taken to our Echtermann range on our online shop!! Echtermann GmbH are known throughout Europe as one of the leading manufacturers of high Quality performance Pre-Rinse Unis. The Echterman Pre-Rinse Unit range consists of the very popular TOP CLEAN,EURO CLEAN and SEMI PRO Pre-Rinse ranges and are designed t provideo reliable performance in the toughest of environments. For further details, please click on the icon button below. For the Commercial Ktichen and front counter/bar area, Echtermann manufacture a specialist range of Bar Counter taps and Pre-rinse units. Designed for single or double sink applications, the range offer solutions to most customer specifications. For further details on the Bar Counter tap product range, please click on the icon button below. Echtermann also offer a wide range of Hinges for lids, and supply them in various different dimensions, if the dimensions you require are not listed please contact CDR direct for further assistance. For details on are full range, please click the button below. Echtermann also offer a range of demineralised water systems, for more information please click the button below. 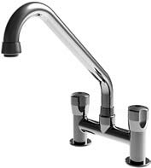 Part of the Echtermann GmbH product range is high quality taps for commercial kitchen applications. The range consists of Single taps, Mixer taps and Pillar taps in a variety of designs and styles. For further information and details on this product range, please click on the icon button below. Echtermann GmbH produce an extension range of hardware products from Kettle outflow valves, to safety pressure valves. Produced to the highest of standards, the range is designed for OEM and replacement spare part applications. For further details, pleae click on the icon button below. 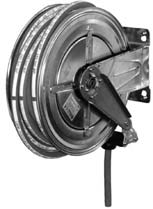 Echtermann also offer a wide range of Hose Reel Systems, for more information please click the button below. Echtermann offer an extensive range of accessories and spare parts from spray guns, hoses, springs and washers. For the entire accessories and spares list please click the button below.